We are excited to be back in school and are looking forward to the upcoming semester. The staff and I kicked off the second semester with an all-school assembly on January 4th celebrating the first quarter successes and introducing our new Attendance Incentive. 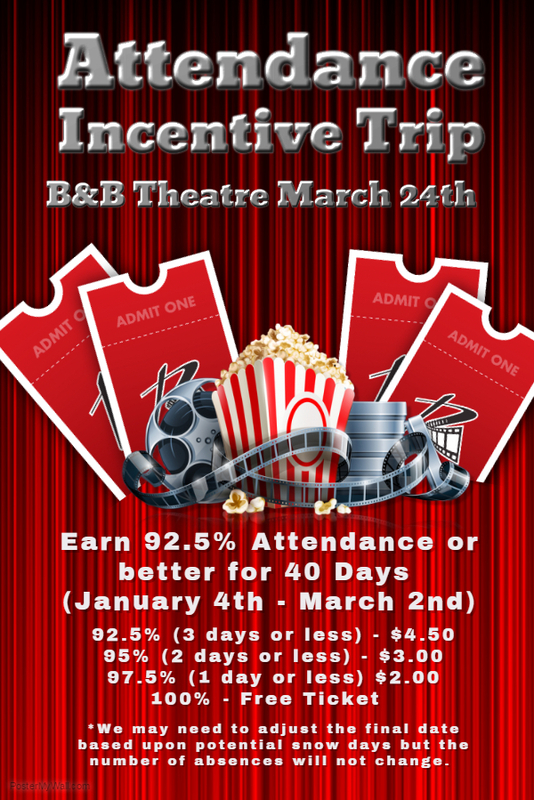 Students who earn 92.5% (3 days or less) or better attendance from January 4th through March 2nd (40 days) will get the opportunity to attend a trip to Ozark’s B&B Theatre for a private viewing of Disney’s new release Beauty and the Beast (PG). This trip will take place on Friday, March 24th during the school day.